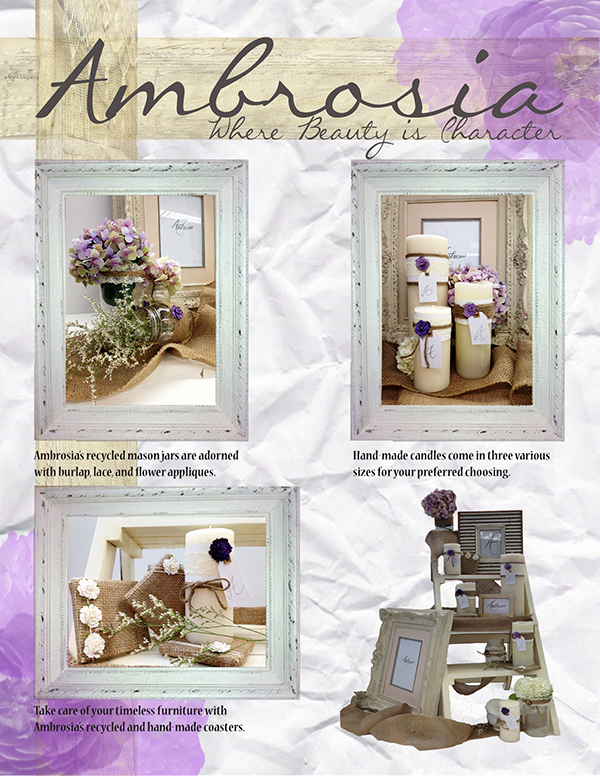 Ambrosia is a lifestyle brand that creates eco-friendly products from organic materials. This is an advertisement concept for a collection of their soy candles and refurbished home goods. Descriptions can be found below the pictured product.